Our Lady of Mercy Catholic School and Sister Claire’s Preschool collaborate with our families and parish communities to provide a learning environment that calls our students to realize their God-given potential and talents. Our Lady of Mercy Catholic School and Sister Claire’s Preschool is mindful of our educational responsibility to provide for the development of the total student. Learners come to realize their God-given potential and abilities through the collaborative work of our faculty and staff, which is strengthened by our valuable home – school connection. To this end, our school diversifies the presentation of subject content using differentiated lessons while addressing the varied learning modalities and multiple intelligences of our students. 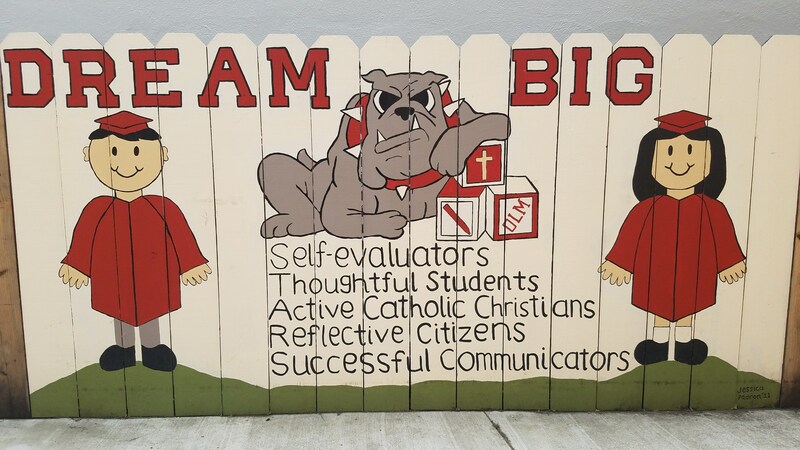 The integration of Catholic doctrine, the open practice of faith, and active participation in Christian service define the pursuit of high achievement at Our Lady of Mercy Catholic School. Sister Claire’s Preschool provides a nurturing environment in which children can grow and develop at their own pace, develop a positive self-image and a sense of responsibility and independence. Each child is seen as unique with individual and particular interests, strengths and needs. Through positive guidance and unconditional acceptance, we hope to build a strong foundation for each child’s future.